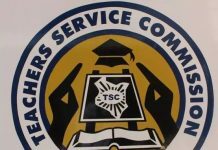 The Teachers Service Commission, TSC, is planning to deploy classroom teachers with Job groups M and N to administrative positions in line with the current Collective Bargaining Agreement, CBA. According to the circular dated 1st February, the commission has directed county directors to collect details of primary teachers in job group M and secondary school teachers in job group N.
Primary teachers at Job M and above will now be appointed as deputy head teachers. On a similar note, secondary teachers in job group N will be appointed as Deputy Principals. “You are hereby requested to submit details of all teachers at Job group N and above to be deployed as deputy principals in Secondary Schools and M and above in primary schools to be deployed as deputy headteachers in primary schools using attached format, ” reads part of circular signed by Rita Wahome. This is information is to be collated by the TSC County Directors. The Commission suspended the promotions of teachers upon attainment of higher qualifications, since 2014; causing a spat with the teachers’ unions. The County Directors are expected to submit the following information to the head office by 8th February, 2019. The mean scores garnered in the teaching subjects in KCSE 2016, 2017 and 2018. TSC revised the staffing changes whereby Secondary school principals and their deputies were required to have a master’s degree in education; effective this year. Primary school head teachers and their deputies were also required to have a minimum of a first degree in education. The directive comes barely few days after Kenya National Union of Teachers, KNUT, compiled a list of teachers (12,080) with higher qualifications who were yet to be promoted.